Has anyone considered this option instead of buying a TH? I was thinking, why not sell my pick up truck (2018 Ram) keep my travel trailer (20' Micro Minnie) and buy a Sprinter/MB van. I could haul the quad/golf cart in the tow vehicle and still have the same basic benefits of a stand alone TH. Anyone done this or am I missing something with this ? How wide is the quad,,,the golf cart? and, ... generally speaking, the lower end tow capacity of the truck is approximately the higher end tow capacity of the sprinter. 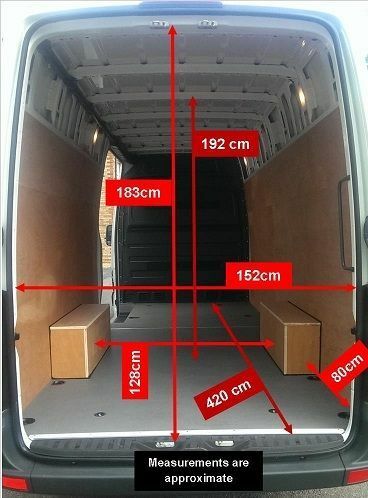 So, fitting inside is a consideration, but they fit in a pick up so i assume they will fit in a Sprinter. A dry Minnie 'at 3800' is probably closer to 4000+ .... but then add your water, soda, food, tools, dogs, ... and I'm not going to look up the towing capacity of a Sprinter, but I bet your wet Minnie is now at 5500, and that might be over the limit of the van. In my last toyhauler I had 100+ gallon water tank and 25 gallon gas tank, and THEN I started packing the interior. Heavy is easy to get to. Most likely you would have to disconnect the trailer to get your toy out of the van. This may or may not be a big issue. If you were only staying for a short period, it would be more convenient to just drop the rear gate on a toy hauler. I too live in Huntsville. Very small world. I love my Diamondback truck bed cover for hauling my Quad. Very well made, works like a dream. I don't golf so I can't speak to putting a golf cart up there. You don't have to golf to own a golf cart. They are like a quad, just more grass and campground friendly. The Diamondback cover would be a great solution and I'm seriously considering it. The downside is cost, they are only sold direct by the mfg, and I'm here is Canada. With freight and exchange I'd be looking at almost 3K...YIKES!!! Probably cheaper than selling your new pickup, taking a depreciation hit and then buying a new van. I have been very impressed with the Diamondback quality. It kind of seems backwards to me. If you are willing to drive a sprinter van, I think a class B with living quarters while towing a utility trailer makes more sense. Or upgrading to a bigger toy hauler. But I would much rather drive a pickup than a van so take my opinion for what it’s worth.